I know that this year it feels like it has lasted 2 weeks so far, but TODAY is Black Friday. 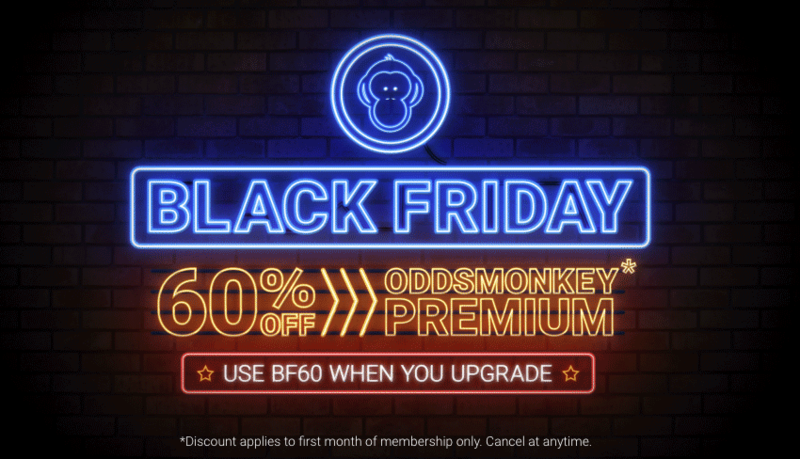 And Oddsmonkey are running a fantastic promotion specifically for Black "Friday" (that's actually running until Monday 26th November). 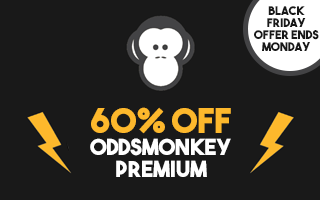 It doesn't matter if you've tried their £1 trial already - Oddsmonkey Premium is now just £7.20 for 1 month when you upgrade from a free member. Please use the link above or the link below and enter the promo code BF60 to receive a 60% discount on your premium subscription fee. That's just £7.20 for a month instead of £17.99! (Using the link below and promo code BF60)!